This collection of papers looks at the major developments that have taken place in the study of the nuclear paradigm as a result of detector and accelerator development, and of improved theoretical models. The active use of 4-pi detectors to measure the gamma decay of excited nuclei has been instrumental in exploring the consequences of extremely high rotational frequencies and excitation energies in the nuclear structure. The identification of superdeformed bands of limiting temperature for the detection of giant resonances, and of rotational damping, are conspicuous examples of this novel type of research. Studies of the disassembling of the nucleus have been systematically carried out, and the results interpreted in terms of transport models. At even higher temperatures one expects to have a completely new regime of hot dense matter, where the hadronic properties become strongly renormalized by the medium. 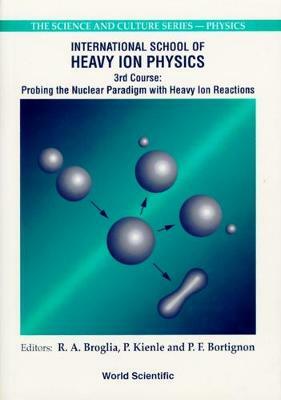 Furthermore, studies of the properties of the nucleon as a many-body system of quarks and gluons displaying collective degrees of freedom which are daped by couplings to more complicated states, provide a detailed and consistent picture of the nuclear paradigm Progress has also been made in situations essentially opposite to the scenarios described above, namely in the study of correlations in nuclear matter at very low temperature and density. These experimental circumstances and their outcomes are detailed in this volume.